Heaven and Hell aren’t as simple as Black and White. “Breaking the Devil’s Heart” starts off with the murder of Stewart Willoughby as he faces the afterlife, and finds it more complicated than angels and devils. Stewart finds his new purpose in his afterlife is a complex one to go against the bureaucracy of hell and end evil. 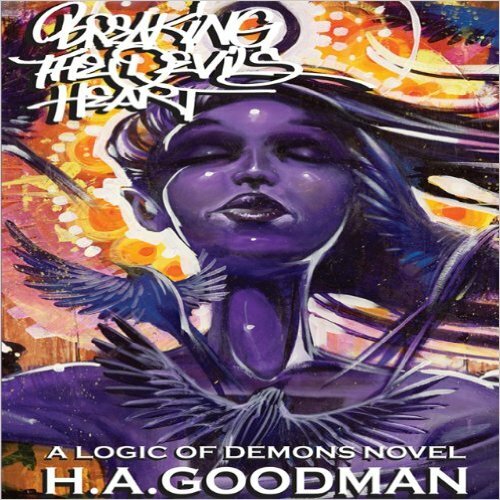 A thoughtful spin of faith and the nature of good and evil, “Breaking the Devil’s Heart” is a strongly recommended pick for fantasy fiction collections. The author really delves deeply into human behavior, often turning a quite unflattering spotlight upon our preconceptions. One demon says something that really sums up The Formula perfectly: “Think about it: it’s easier to shoot up a McDonalds (sic) than it is to feed starving people in some remote part of the globe. With one pull of a trigger or one too many glasses of cognac behind the wheel, unspeakable damage can occur. But tremendous goodness and altruism takes a great deal more work and far more effort. The system is skewed in one direction – ours.” Yet Stewart and Layla just can’t seem to get past their somewhat naïve idealism that humans are essentially good.